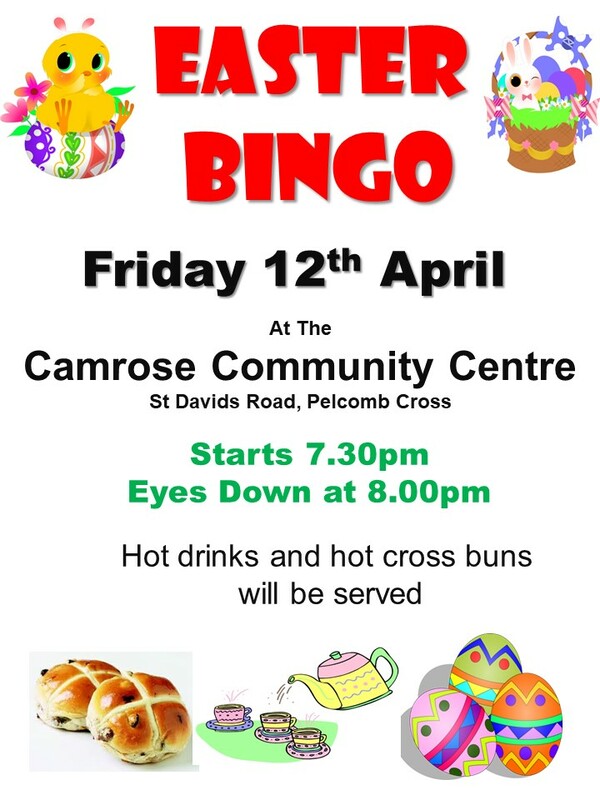 Come along to another night of fun at the Camrose Community Centre - starts 7.30pm and 'eyes down' at 8pm. Loads of yummy chocolate and Easter Eggs and lots more, to be won. There will also be a raffle and, not forgetting, some delicious hot cross buns and hot drinks, too. Entry is free and all ages are welcome.